During Baselworld 2016, Hublot had their Big Bang Minute Repeater Chronograph with a Tourbillon at their stand. The watch features a cathedral-gong minute repeater which was mastered by the watchmaker. Tim Mosso reviews the watch hands-on in Basel, including a look at the beautifully-constructed minute repeater. The entire case is made from gold and is placed on a rubber strap. The movement is visible from the caseback, which lends to seeing the minute repeater in action and the artistry of this movement. The open-worked dial reveals the symmetry of the tourbillon and the two sub-dial placement. Stay tuned for more Basel Coverage including more Hublot videos throughout this week and into next. Want more? 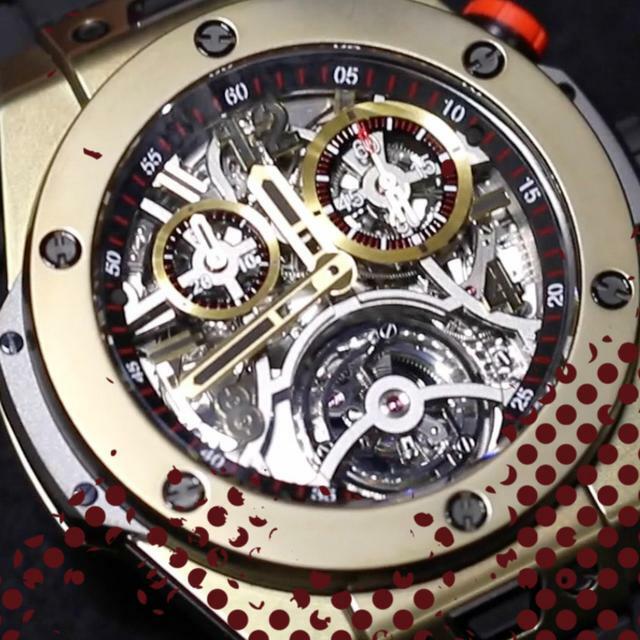 Check out iWMagazine.com’s dedicated Baselworld 2016 for debuts, exclusive video and more.